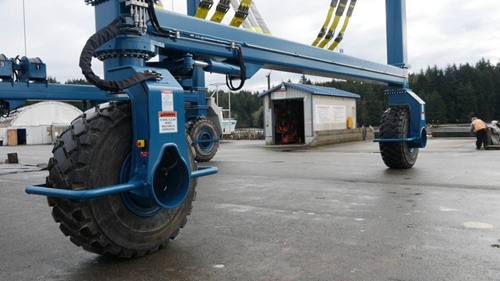 40 ton travel lift is flexible and portable. It has wide application in many places, such as port, factory, aquatic clubs, construction site. 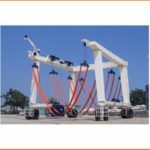 As an amphibious travel lift, 40 ton boat hoist crane can put the vessel in the water, lift the vessel out of water and transport the vessel from one place to another place. 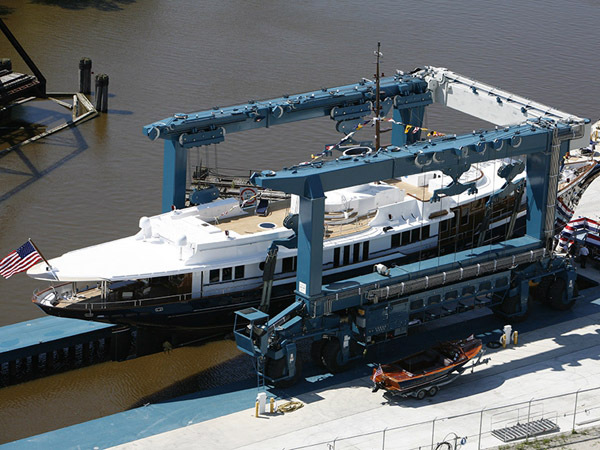 Except for boats, travel lift crane can also lift and transport large goods. Our company is a professional travel lift manufacturer in China. 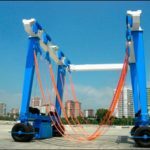 We supply types of travel lifts for sale, such as construction travel lift, shipyard travel lift, safe driving hoist crane, u shape boat lift hoist, remote control boat lift, cabin control hoist crane, amphibious travel lift, light duty crane, heavy duty crane. 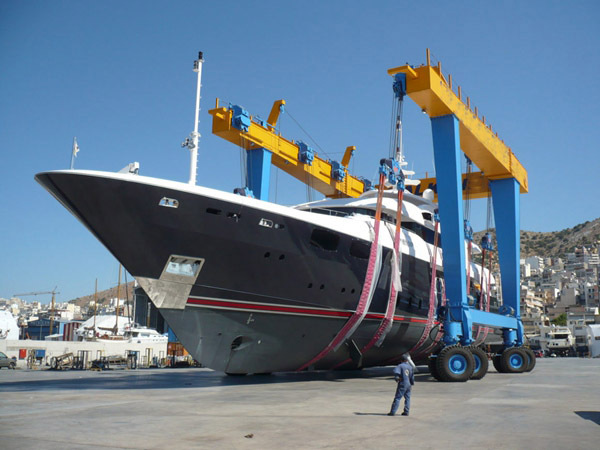 Except for standard marine travel lifts, we also provide customized travel lift. To ensure the most suitable travel lift, professional engineers design the travel lift based on customers’ needs and practical conditions. Do u want to get such cost-effective travel lift? Just send quotation to sales@ellsentravellift.com, we will reply asap. Our company supply 40 ton travel lift with factory price. We have our own producing factory or cooperate with power factory. Customers don’t need to pay for medium-factory. This can help customers save much money. What’s more, our travel lifts have reliable quality. 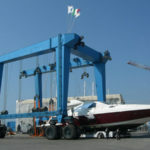 Reliable boat hoist crane can save much cost for maintenance and repair. 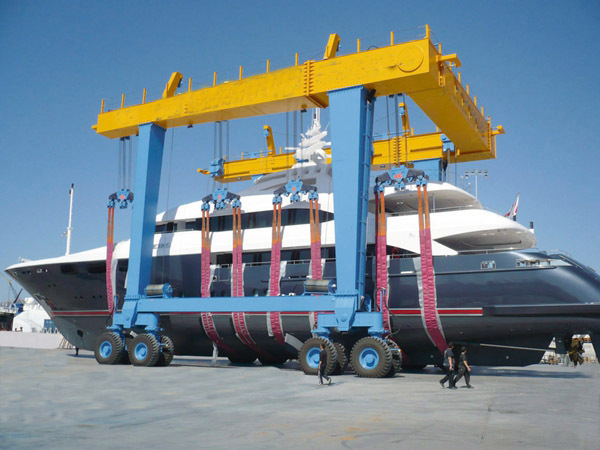 Compared with 400 ton travel lift, 40 ton boat hoist is much lighter and smaller. This makes it move flexibly and easily. It is smart choice for small and tiny vessel. And the price of 40 travel lift is much lower. 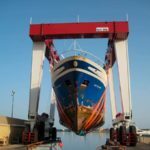 400 ton shipyard boat lift has complete safety protection devices. 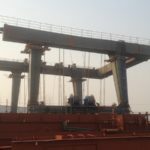 With stable performance, high safety, 400 ton boat lift gantry crane is great lifting device for large boat. We also provide other heavy travel lifts, such as 500 ton travel lift, 600 ton travel lift, 800 ton travel lift, 1000 ton marine travel lift. Engine oil level prior to starting and oil pressure after starting. Fuel level prior to starting. . lifting shackles have safety split pins in place. Lifting straps are not frayed and/or torn. Strap pins are engaged with all strap fingers. 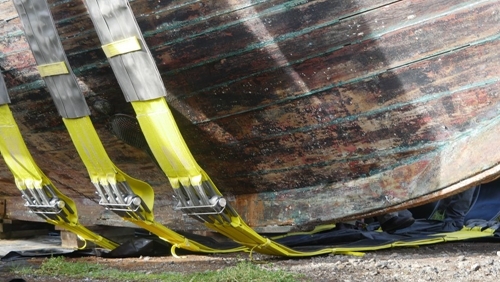 Strap pins have their safety cages in place and are facing away from the boat and secured with the safety pin. Port and starboard cable blocks are at the same elevation. 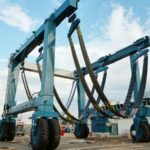 Strap separation is correct for the vessel and the hydraulic separation cylinders are synchronized. Wire cable is not frayed and/or kinked. Wire cable is spooling properly. 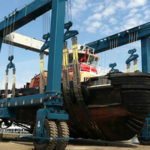 Boat being lifted has bow and stern lines attached and ready. Restrict personnel in area to only those required for lifting operation. A minimum of two persons are required for any travel lift operation, the operator and lift-coordinator or spotter. The spotter service as a second set of eyes and directs the operator in all lifting and traversing operations. The spotter must remain in clear view of the operator at all times and use hand signals to communicate with the operator. 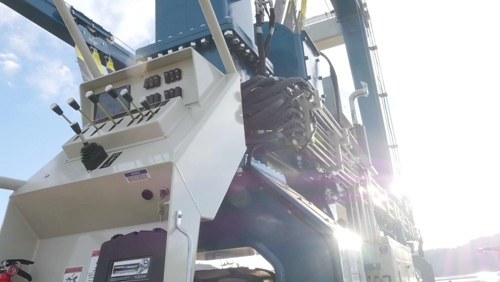 The operator uses the controls of the travel lift to position the lift, raise and lower the slings and traverse the lift between the boat storage area and the lifting pound. The operator takes direction from only one person, the spotter, for all but emergency stop situations. The operator should never leave the controls while the engine is running or rev the engine at maximum. No vessel over 50 tons is to be lifted. 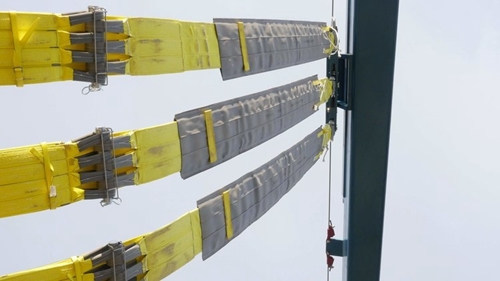 Special care and assigned personnel are required to guide the lift’s cable blocks in and out of the pound while raising and lowering empty slings. There is a risk that the blocks make contact while lowering and the load is temporarily removed. The wire rope may loose its position on the spool causing a dangerous overlap, possibly damaging the cable. When raising empty slings in the pound there is a possibility that the cable blocks can snag objects overloading the cable. While traversing, slings should never be allowed to drag. They should be either connected together above the ground or laid on the travel lift’s frame.